B912912-3636-SS is rated 3.0 out of 5 by 2. This 36 in. x 36 in. x 76 in. 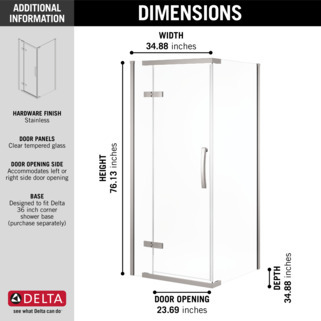 3-Piece Direct-to-Stud Corner Frameless Shower Enclosure in Stainless is designed to fit 36 in. x 36 in. corner spaces. 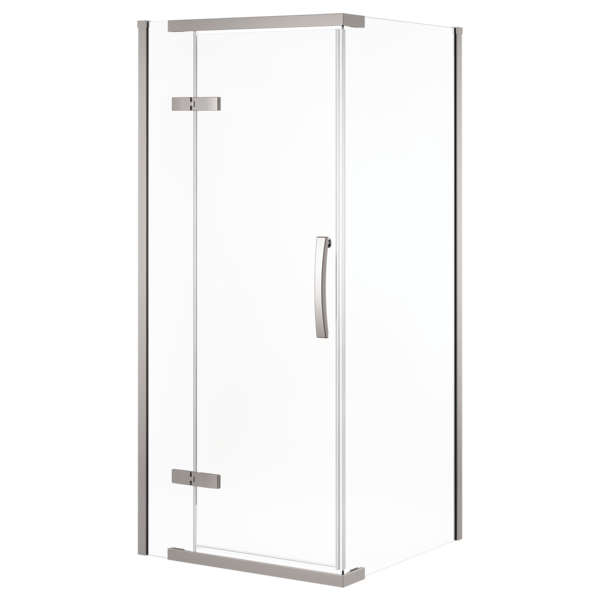 The hinged safety tempered glass door can accommodate a left or right opening. The heavy-duty hinge is pre-installed for simple installation. The flush mount interior of the hinge makes for easy cleaning. 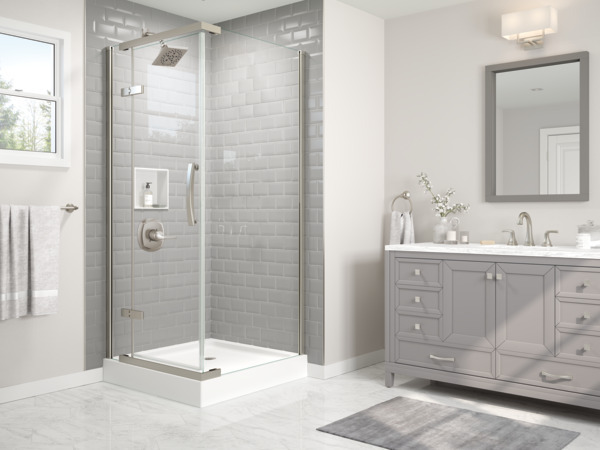 Perfect for tile applications and bathroom upgrades, the sleek design of this frameless door will complement any decor. Rated 3 out of 5 by Patrick from Easy to install. Nothing but complements by everyone who has seen it. My concern is the bottom sweep doesn’t allow proper opening and closure. Walls are square panels are plumb. Double edge sweep on the bottom wants to push up on the hinges. Need a center drain base, what would you suggest? 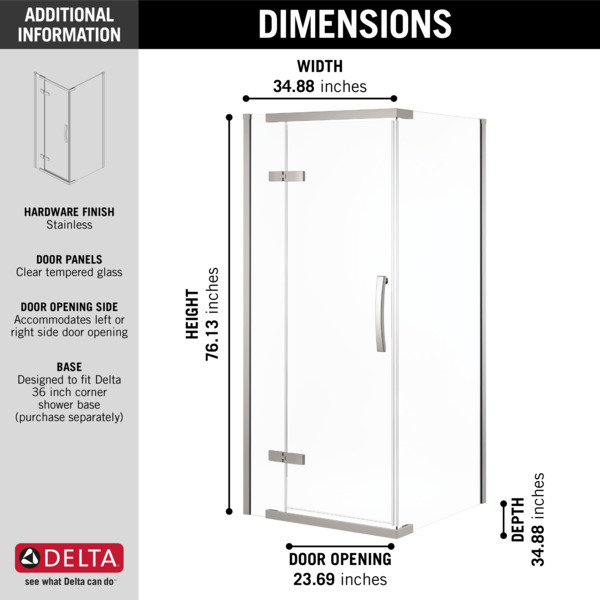 I got this door and planned to change out the entire shower, base, door, and surround. The only base that home depot has wont work for me as it is a corner drain and I need a center drain. Will this shower base work as well? Although the magnets were connected tightly together in the box, they are not making a connection attached to the door &amp; stationary wall. Therefore not closing completely. What suggestions do you have to remedy this? The shower doors will not stay closed. Does the door swing inwards and outwards (180 degrees), or only outwards (90 degrees)?